Are you looking for a "unique" birthday party, club meeting, business get-together, or an outing with family or friends? 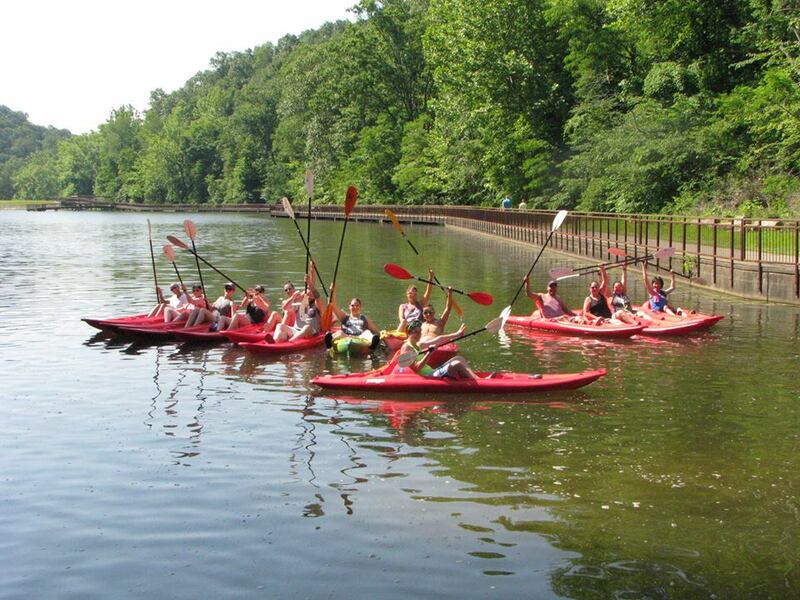 Schedule a kayak outing with KKLLC. Afterwards you may want to take advantage of the picnic areas, hiking trails, and group camping sites at Lake Vesuvius. Subject to availability. We can usually handle groups any time Monday - Thursday if you have a group of 10 or more. Weekends are OK too but we encourage groups to schedule early in the day when walk-up traffic is lighter. Groups may qualify for a 10% discount if pre-arranged and paid from a single source. Kountry Kayaks, LLC located at Lake Vesuvius, and Wayne National Forests under special use permit from the Forest Service, USDA.